J/News Articles: J/145 KATARA Flying Across the Caribbean! 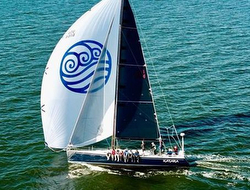 J/145 #9, now called KATARA, is returning to her racing roots under new owner Roger Gatewood from Tampa, Florida. She will be flying the Davis Island Yacht Club flag out of Tampa Bay. 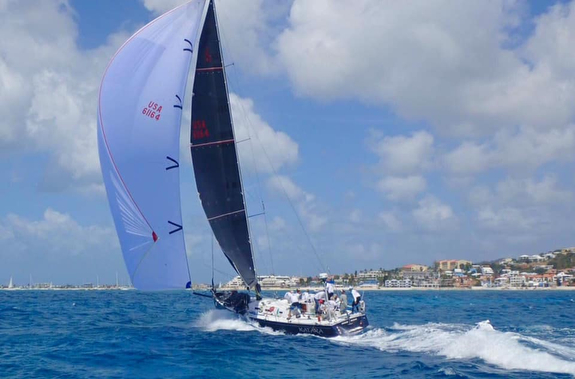 Their 2019 schedule includes the Pineapple Cup, the RORC Caribbean 600, the Heineken St Maarten Regatta, Antigua Race Week, and culminates with the Transpac Race in 2019 that is celebrating its 50th year! So far, they are getting faster and faster. In the Caribbean, they raced the CSA rating rule measured with a 157% genoa! Yikes, that has not helped their cause in the 15-25 kt trade winds! They are now getting re-rated for a 105% #3 jib like all the other competitors for their final Caribbean event. 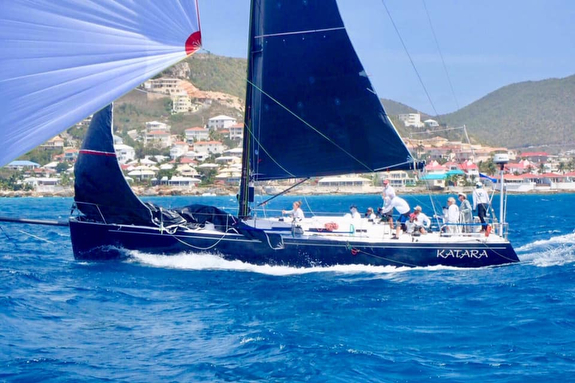 Sean Motta, navigator of KATARA, explained they were first at every windward mark in the Heineken St Maarten Regatta and the fact they had no time to re-rate her for the CSA Rule after getting her shipped from the Pacific Northwest USA to Antigua. Nevertheless, a quick “back of the napkin” calculation by Motta indicated they could have won “the Heineken” with their #3 jib.